Please read all the info carefully then download and complete the application form and email to hana@mindfulmovements.co.uk . We will reply within a few days to let you know if your application has been successful and continue with the registration from there. In some cases you maybe asked for a short telephone interview or be invited to join one of Hana's classes. £600 plus £60 registation fee to BWY. On acceptance on to the course you will be asked to pay a non refundable deposit of £200 and £60 registration fee which will be passed on to BWY. You must also become a member of the BWY which you can do online. It is £34 for annual membership, here is the link: https://www.bwy.org.uk/join-the-bwy/ **Please note you must have this BWY membership before the start of the course in order to be officially registered on the course and to be able to receive your certificate on completion. The remainder of the fee are to be paid 2 weeks before the start date. All course fees are non refundable and non transferable. You must attend 80% of the course to receive the BWY Foundation Certificate. There are 2 books you will need to read throughout the course. ‘The Heart of Yoga’ by TKV Desikachar and The Yoga Sutras of Patanjali. There is also an optional book,The Hathayogapradipika’ Bihar edition. There will be an additional suggested reading list. Please see a links opposite. Please note these books are available both new and second hand on Amazon at various prices. Use the links opposite to search for the best deals! Location:Islington Arts Factory is a lovely Community Arts Centre. This grade 2 converted church building has many of its original features and although it is old it has great character and charm. The large studio space has a beautiful high ceiling. We are fully equipped with mats, blocks, blankets, bolsters and belts. There is a cafe area where tea and biscuits will be available during the breaks. Islington Arts Factory is on the Parkhurst Road/Camden Road one-way system. Tube: The nearest tube is Caledonian Road (one stop after Kings Cross) on the Piccadilly Line and a short walk. ​You can also get a short bus (5-10 minutes) on 29 or 253 from Warren Street, Euston or Finsbury Park, on the Victoria Line or from Camden on Northern Line. 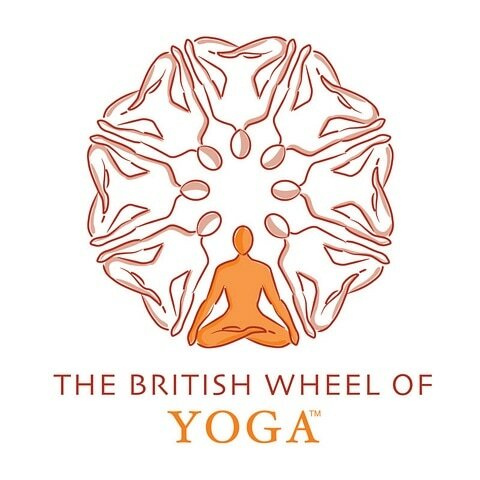 Established in 1965, The British Wheel of Yoga is the largest yoga membership organisation in the UK. 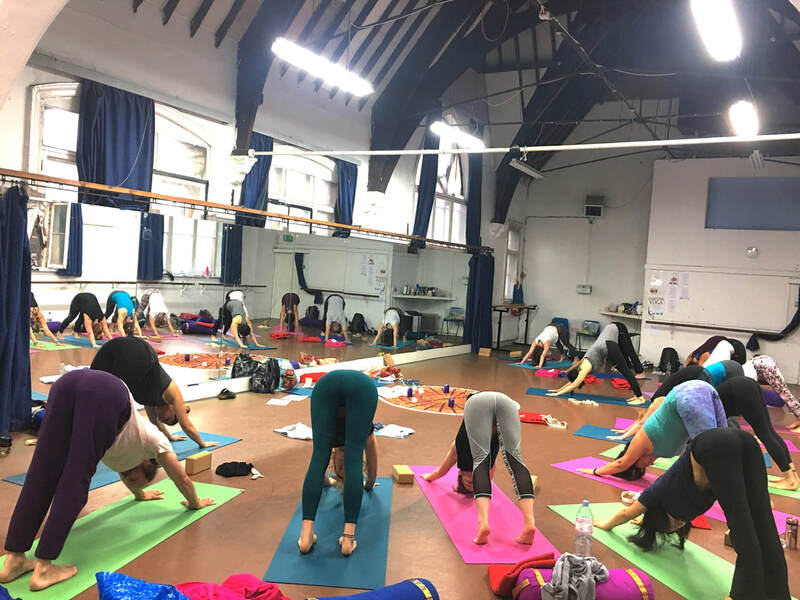 BWY is recognised by Sport England and The Sport and Recreation Alliance (formally the CCPR) as the National Governing Body for Yoga in England. Hana is an experienced and passionate teacher with 13 years experience of teaching Yoga and Dance. 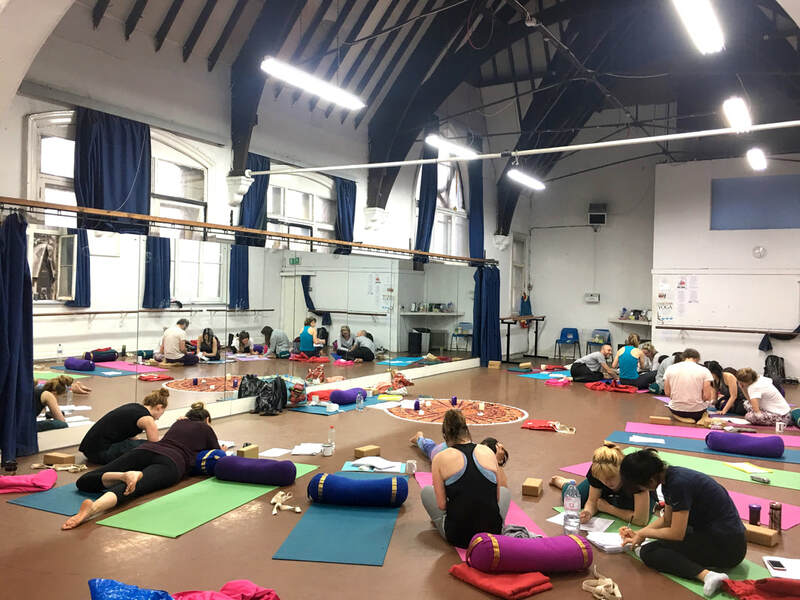 Having taken the BWY Foundation course herself at the beginning of her journey towards Yoga teaching, she can honestly say it was a huge turning point in her practice and understanding of Yoga. She is delighted to be offering this course and is looking forward to sharing this exciting and insightful course with you. I don't want to be a Yoga teacher, is this course suitable for me? There is absolutely no focus on the teaching of Yoga to others on this course. It is a personal development course that will introduce you to all the different aspects of Yoga stated in the syllabus. I want to be a Yoga teacher, is this course suitable for me? It is ideal if you are considering teacher training and an invaluable preparation for what lies ahead. You would develop your personal practice and all round knowledge of Yoga, so you will be sure of what your stepping into when it comes to teacher training. The course includes guidance and support for choosing and moving onto teacher training too. Will the physical Yoga be advanced? What level do I need to be? We ask for people to have around 2 years or more experience of attending Yoga. This is not because the physical postures on the course are difficult, it is because we need to be sure you have a genuine interest and commitment to Yoga, for you to get the most from the course. The postures covered are basic ones such as downdog, triangle pose and so on, but we look at the fine details in each of them in a workshop style. In a regular 6 hour day, there is will be approx 90 minutes physical practice, the remainder will be the other subjects covered. I have an injury at the moment is it suitable? If you were unable to do the physical practice on any given day you would still benefit a huge amount from the rest of the course. Plus the physical class is always as a workshop would be, so there are plenty of notes and observations you could take down for your personal use later. I can't make all the dates, will that be a problem? As long as you can attend 80% of the course there is no problem at all. Regardless of if it is the 1st or final session. 80% would mean attending 8 out of the 10 sessions in total. I am worried about the cost, can I pay in instalments? We ask for an initial deposit of £260 after that you can pay in instalments in whatever way is convenient to you. The remainder should be paid by 13th July. Is there a lot of homework and assessments? There is just small amount of reading homework and a home practice diary, which could take 10-15 minutes each week. There is no formal assessment.